"Egg Chaser" redirects here. For the Sonic Advance 3 boss, see Egg Chaser (Sonic Advance 3). The Egg Chaser is a combat automaton constructed by Dr. Ivo "Eggman" Robotnik, deployed by the mad scientist in and around Soleanna during Sonic the Hedgehog (2006). It's an advanced model of the Egg Liner. 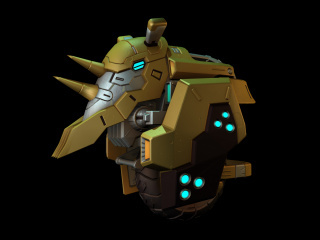 The Egg Chaser is equipped with bombs and two horns on its head which it tries to ram an enemy with by charging at them. The Egg Chaser has some armour built on to it, taking two hits to destroy. This page was last edited on 24 September 2018, at 11:01.